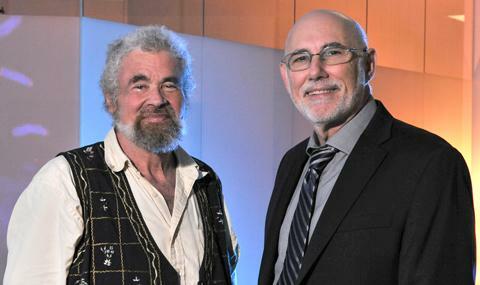 A recent study by UT Southwestern Medical Center researchers, entitled “Induction of Telomere Dysfunction Mediated by the Telomerase Substrate Precursor 6-Thio-2′-Deoxyguanosine” reports a new therapeutic strategy in the fight against cancer, by targeting telomerase, with the use of a small molecule, the 6-thio-2′- deoxyguanosine (6-thio-dG). The study was published in the journal Cancer Discovery. 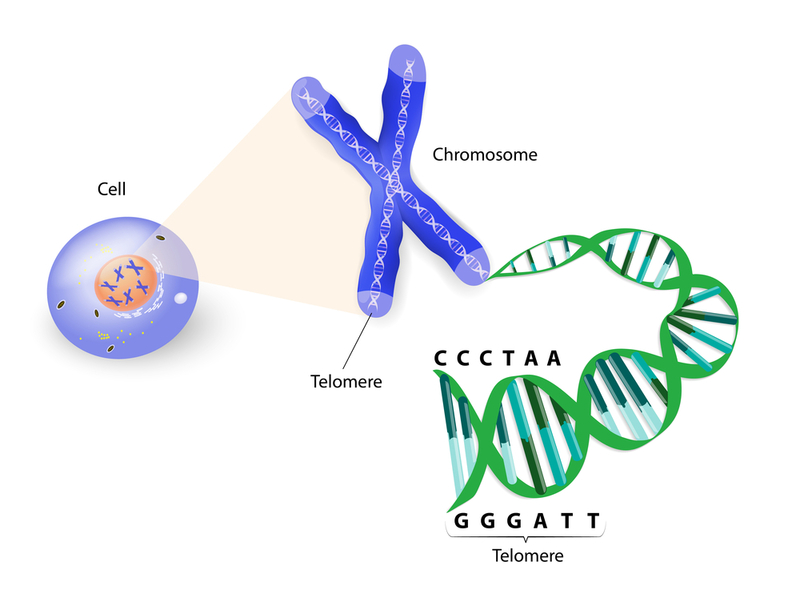 Telomeres are structures encountered at the end of each linear chromosome, representing important and indispensable elements for proper genomic stability. 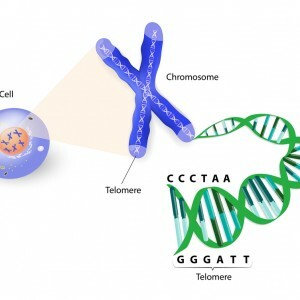 Commonly illustrated as a plastic tip at the end of shoelaces, telomeres prevent chromosomes form sticking to each other. With each cell division, telomeres become shorter and this shortening process is viewed as a molecular clock, triggering cell death once a critical length has been reached. The ribonucleoprotein enzyme complex, called telomerase, counteracts this shortening process by adding specific and repetitive DNA sequences to the end of each linear chromosome where the telomere is located. This enzyme is extremely important, especially in the case of cancer cells. Indeed, it was observed that around 85% to 90% of primary human cancers have a mutation that results in the activation of telomerase. Consequently, these cancer cells become “immortal” and stable. In the light of these observations, previous studies focused on targeting telomerase activity to prevent cancer progression. However, only a limited number of telomerase-targeted therapies actually reached clinical trials, mainly due to the required length of treatment and associated toxicity to normal cells. In this study, the authors used a small molecule called 6-thio-2′- deoxyguanosine (6-thio-dG) to target telomerase (6-thiodG is preferentially used as a substrate by telomerase) and evaluated its therapeutic effects in the fight against cancer. They observed that6-thio-dG was capable of inducing cell death in a variety of cancer cells, even at low concentrations, whereas normal cell lines were unaffected. In addition, when 6-thio-dG was tested in mice models of cancer, it was capable of significantly decreasing tumor growth. 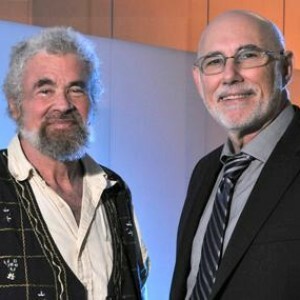 “Using telomerase to incorporate toxic products into telomeres is remarkably encouraging at this point,” study co-senior author Dr. Woodring E. Wright, Professor of Cell Biology and Internal Medicine said in a news release. The main innovation associated with this study relies on the fact that 6-thio-dG only targets telomerase expressing cells, which is a trend amongst cancer cells, leaving normal cells out of harm. Once incorporated, 6-thio-dG is detected as an ‘alarm’ signal, leading to blocked cell division and death. Furthermore, researchers did not observe toxic side effects in the blood, liver or kidneys of the animals treated with this compound.